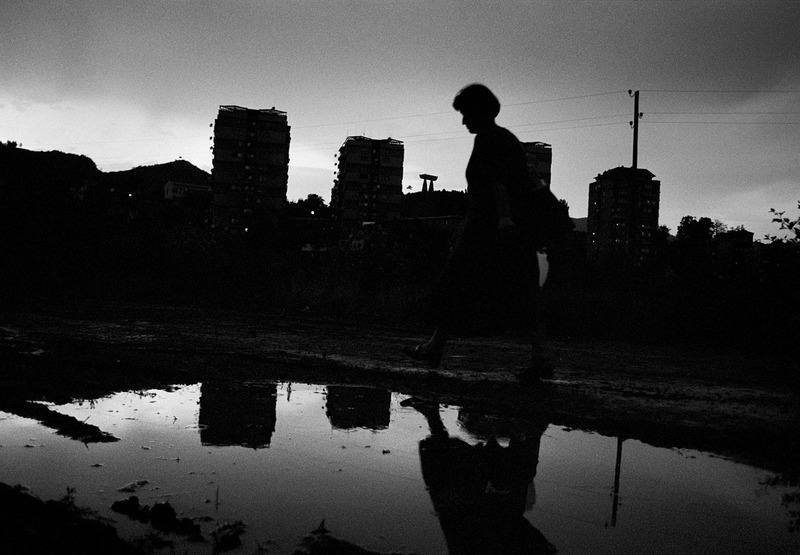 Mitrovica - 2000 An Albanian woman on her way home to one of the 3 towers on the Serb side in Mitrovica. The three apartment buildings are home to the Albanians living on the Serb side of Mitrovica. The enclave is ringed with barbed wire and the residents have a private bridge that connects them with the Albanian side of the city.